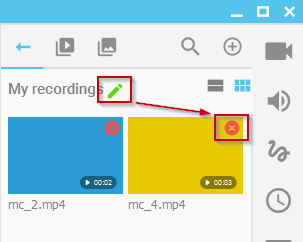 How do I remove recordings or snapshots from ManyCam? Note! This action will not remove files from your hard drive. Please use the file manager of your operating system to remove recordings or snapshots completely.